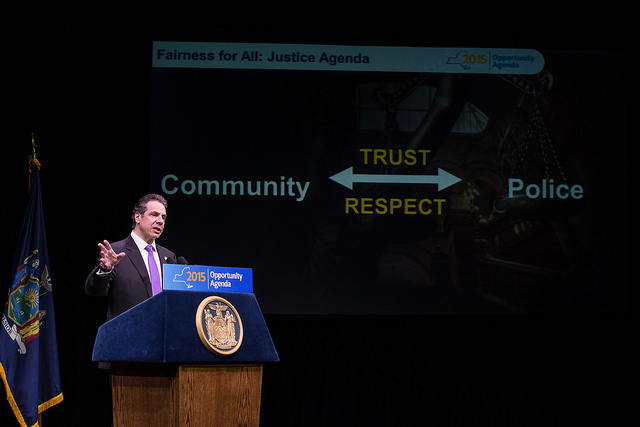 These criticisms of the city come as the state government, led by Cuomo, struggles to make its own reforms to New York’s criminal justice system. Current state budget negotiations include a push to “raise the age” of criminal responsibility so that 16- and 17-year-olds are largely prosecuted as juveniles, not adults. But the measure, which is seeing new daylight this year, has faced strong opposition from Senate Republicans for years, despite the fact that New York is now one of just two states that tries 16- and 17-year-olds as adults. Senate Republicans want teenagers charged with violent crimes to be tried as adults and they want all 16- and 17-year-olds tried in criminal, not family, court. The Republican Conference holds a plurality in the Senate—and the power that comes with it—in part because Senator Hamilton and the seven other members of the Independent Democratic Conference (IDC) do not caucus with the Democrats. Nominal “Democrat” Senator Simcha Felder caucuses with Republicans, giving the GOP a 32-seat bare majority in the 63-seat chamber. For their part, city officials are defending their approach and pointing the finger back at the state. At a recent press conference, Mayor de Blasio was asked about Cuomo’s Rikers comments, and said, “Our job is to address this crisis [on Rikers Island]. We’ve been doing it for three straight years…The state’s job is to take care of the state prison system." Since that exchange, Senator Hamilton has introduced a bill to make turnstile jumping -- perhaps the prototypical broken windows offense -- a violation instead of a misdemeanor. Evading the subway fare is a charge the NYPD disproportionately brings against young black and Latino New Yorkers. Since city police enforce state laws, that is one avenue state legislators could use to influence city criminal justice. If the state raises the age of criminal responsibility, it will be the first major criminal justice reform legislation since the law ending the shackling of pregnant inmates in 2015. Executive action on prison reform has also slowed recently. After closing 13 prisons in his first term, Governor Cuomo has not closed any since 2013, even while the state prison population has continued to decline. Last year, the governor also vetoed a bipartisan bill that would have increased funding to public defenders in the state. Cuomo insists he’s open to similar legislation but that it must be done through the budget. And a New York Times report about rampant racial bias in New York State’s parole system led Cuomo to launch an investigation, but no findings have been made public and the parole system is unchanged. Parole reform is on the list of criminal justice changes that advocates have long hoped New York State would take up. The list also includes reform to the bail system, ending the use of solitary confinement, and a bill to accelerate trials. Republican control of the Senate, aided by the IDC, makes further reforms less likely. “The speedy trial bill, Kalief’s Law, should be a no-brainer,” said gabriel sayegh*, the Co-Executive Director of Katal, an organization fighting mass incarceration. “It would reduce pre-trial detention in jails.” The bill passed the Assembly unanimously, but has stalled in the Senate. “Even common sense bills that have bi-partisan support don’t get done,” sayegh said. Brenden Beck is a PhD candidate in sociology at the CUNY Graduate Center researching police, suburbs, inequality, and housing. On Twitter @BrendenBeck. 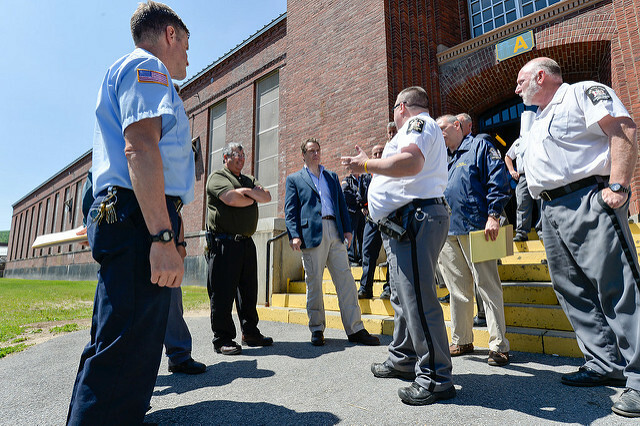 "In my opinion, it is too early to condemn a 16-year-old to a life without redemption," Governor Andrew Cuomo said as he toured the Coxsackie Correctional Facility in May. It is a sentiment many advocates and legislators share. And yet, with the 2015 legislative session in the history books, New York remains one of only two states that tries 16- and 17-year-olds as adults (North Carolina is the other). Cuomo made raising the age of adult criminality to 18 a top priority during 2015 budget negotiations and the legislative session that followed. While some money toward a potential shift was included in the budget at the end of March, new policy remained elusive. Then, still with no deal to announce on the issue at the end of the extended session, Cuomo declared on June 23 that he would take executive action to make sure 16- and 17-year-olds are sent to alternative detention centers, separate from adult populations. "We did not reach an agreement on something called 'Raise the Age,'" Cuomo said when announcing a framework end-of-session deal with Senate President John Flanagan and Assembly Speaker Carl Heastie. "Right now 16- and 17-year olds are going to state prisons and that, I believe, is an intolerable situation. So by executive action we will take 16- and 17-year-olds out of state prisons and put them in separate facilities," the governor continued. "I have spent time in prisons and that is not an environment that is suitable for 16- and 17-year olds and let me leave it at that." 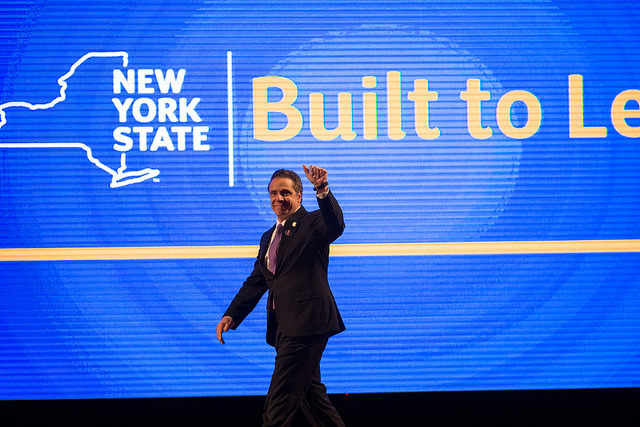 Cuomo's announcement may sound fairly cut and dry, but in fact it raises a host of questions and creates a number of uncertainties. "We really don't have much in the way of details," said Paige Pierce, executive director of Families Together New York, an organization that has championed 'Raise the Age.' "We aren't sure if the order applies to county jails like Rikers Island. It isn't clear if the governor has the jurisdiction over county jails. It is a great thing if he does," Pierce says, because without raising the age of adult criminality, "the 40,000 16- and 17-year-olds who get arrested each year will still be treated as adults upon arrest and sent to places like Rikers before trial, where there is no access to services that are available to other juveniles." Pierce and a host of other advocates and legislators say they are unclear on virtually all of the plan. They haven't seen details on a timeline for the executive action and its implementation; how new facilities will be identified or created; what kind of programming the administration will provide to the newly relocated population; or what impact the new system will have on the larger debate over 'Raise the Age,' which they expect to continue next year. Since announcing his intention to take executive action on June 23, Cuomo has not spoken about the plan publicly other than two days later, when announcing a final end-of-session deal was in place. He said of 'Raise the Age,' "We take the first step by having 16- and 17-year-olds removed from state prisons and that is a very big deal and was a major imperative for this session. And we'll be creating facilities designed for those 16- and 17-year-olds that will be much more appropriate than a state prison." The governor's executive action still won't prevent teens from earning criminal records that many, including Cuomo, say haunt them throughout their lives. It also won't eliminate the $100 million the state says it spends annually to jail 16- and 17-year-old offenders. It may even increase those costs as separate facilities must be opened and operated. Cuomo administration officials stress that the governor will not be issuing an executive order but taking executive action by instructing the Department of Corrections to house 16- and 17-year-olds separately from the adult population. They say how and where those teens will serve their terms is still being worked out. The administration of Mayor Bill de Blasio is taking its own steps to ensure teens are no longer jailed at Rikers after reaching a settlement in the class action lawsuit brought by The Legal Aid Society and a number of private law firms. The city settled the Nunez v. City of New York case late last month after U.S. Attorney Preet Bharara joined as a complainant. The settlement, papers for which were filed July 1, include installing cameras, reducing use of force against inmates, and an agreement to stop jailing offenders under the age of 18 at the facility. "Today's papers formalize this administration's long-standing pledge to improve conditions on Rikers, including a commitment to make best efforts to move inmates under the age of 18 off of Rikers Island," de Blasio said in a July 1 statement. "We have a moral imperative to ensure every New Yorker in this city's care is treated with decency and respect." Meanwhile, advocates are reeling from seeing a last-minute deal come together in Albany - forged by member-driven negotiations between Assembly Democrats and Senate Republicans - only to fall apart when it was presented to the Cuomo Administration. A number of sources say that discussions between a few Senate Republicans who seemingly defied their conference to move the issue and Assembly Democrats had borne fruit just as session was coming to an end. "We were extremely close during the 'Big Ugly' stage," said Pierce of final negotiations. "It wasn't perfect by any means, but it was enough that we could have called it 'Raise the Age.'" Sources say the Cuomo Administration blew up the deal by responding with an offer that wasn't palatable to the Assembly or Senate. Some advocates believe it was sabotage on the part of the administration so that it could get the legislative package it wants next year in the budget. "The Governor's executive action is something that should have been done years ago," said Republican Sen. Patrick Gallivan, chair of the Senate corrections committee. "We've been violating federal law that mandates 16- and 17 year-olds are kept separate from adults." Stressing that he supports the governor's action, Gallivan says that 'Raise the Age' is not a simple catch-all because of the many nuances involving how teens are sent through the justice system. He also said the issue was too complicated to get done during this year's end-of-session blitz. Gallivan and some of his fellow Senate Republicans are concerned that teens that commit serious crimes would be diverted away from prison; that the governor's plan to shift 16- and 17-year-olds to family court would over burden the already taxed system; and that not enough thought has been put into changing the entire process. The senator said he supports alternative sentencing and diversion programs but that more time is needed to consider the issue as a whole. "We need to continue this discussion," he said. "Youth courts and other alternatives should be looked at as models." Advocates say Gallivan's concerns about family court are disingenuous because the Cuomo administration and legislators actually put increased funding for the family court system in the state budget - money that could be tapped if 'Raise the Age' is passed. Further, they argue that diversion and alternative sentencing would reduce the impact of the influx of teen offenders. However, a number of advocates who spoke to Gotham Gazette on background said they now have a lot better understanding of where legislators from both houses are on the various issues contained under the 'Raise the Age' banner, and they hope to expedite action on alternative sentencing and other programs where there does appear to be consensus. 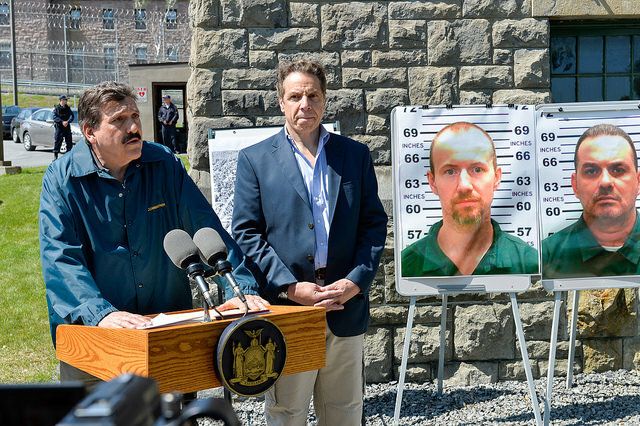 "It's more a question of complication and time and details," Cuomo told reporters. "The raise the age - we made a lot of good progress [but] we didn't get there." Whatever progress may be made next year, there was still clearly damage done by this year's failure. 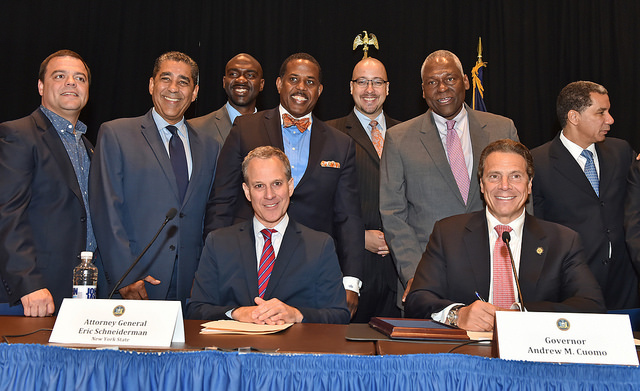 The Black, Puerto Rican, Hispanic and Asian Caucus joined Cuomo in making the bill a priority and trumpeted the fact that black and Hispanic youth make up 33 percent of all 16- and 17-year-olds in New York and yet black and Hispanic youth represent 72 percent of all arrests and 77 percent of all felony arrests of 16- and 17-year-olds across the state. The caucus has seen its major priorities routinely defeated year after year under Cuomo and some members are stunned that he allowed 'Raise the Age' to slip away this session. "This wasn't that controversial. We could have had a deal, but apparently it wasn't worth the effort from the second floor," said one Assembly member, who spoke on the condition of anonymity. Sen. Gustavo Rivera, who has championed the Senate Democrats' criminal justice reform platform, which includes 'Raise the Age,' said it was particularly stunning to see the issue fail when there is so much focus nationally on reforming the justice system. "I thank the governor for his executive action," Rivera told Gotham Gazette. "It is a good start and the right thing to do but I think it is appalling in the current climate that we can't get anything major on criminal justice reform done." The Raise the Age NY Campaign, a coalition of many groups including the NAACP and Federation of Protestant Welfare Agencies, reacted with frustration upon learning there was no end-of-session deal to 'raise the age.' 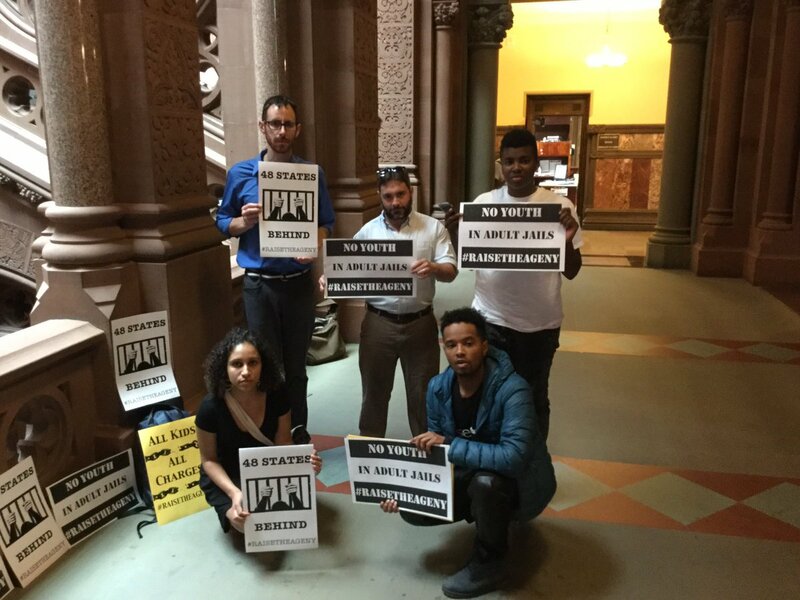 "Governor Cuomo's failure to fulfill his public commitment to pass comprehensive raise the age legislation jeopardizes public safety and lets down children like Kalief Browder who spend years in the adult system for simple mistakes," a statement from the campaign reads. Saying the executive action "barely scratches the surface of this problem" the campaign asserts that New York will continue to "not treat youth in an age-appropriate manner, which leads to youth who are more likely to re-offend and less likely to turn their lives around and become productive citizens. The Governor and Legislature need to fix this problem." 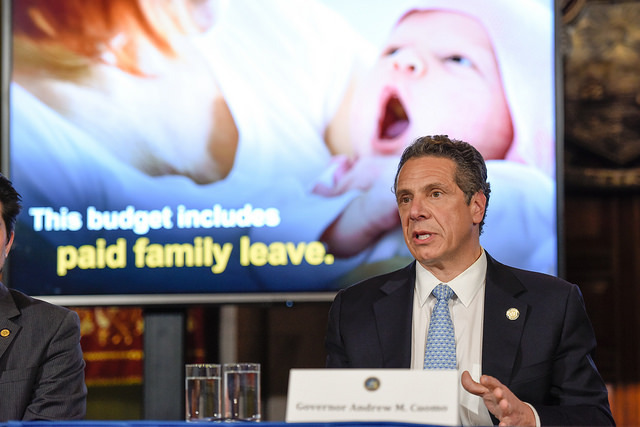 Any executive action Cuomo takes will only last through his administration and could be undone with the stroke of a pen by his eventual successor. It is a reality that worries many and will be part of the ongoing push for legislation. This summer legislators and advocates say they will be watching for Cuomo's action, hoping they will be included in decision making on what services to offer 16- and 17-year-olds while they also plan a full push for next legislative session. 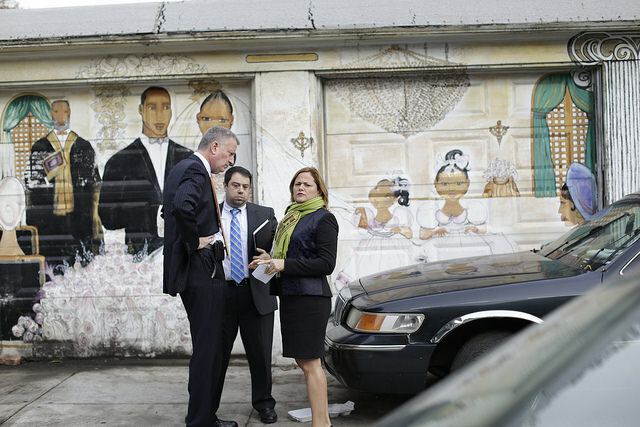 "We are very disappointed," said Sen. Rivera, "But I know we are seriously going to turn up the heat."